UltraSource offers high-performance vacuum chamber, tray sealing, and rollstock packaging solutions. Ultravac vacuum packaging machines, Rhino tray sealers, and the BullDog and Bison rollstock packaging machines are smart investments for your business. All Rhino, Bison and BullDog and most Ultravac machines are manufactured in our Kansas City, Missouri facility with excellent parts, like Busch vacuum pumps. Our machines are built to last with fast cycle times and customization options to help optimize your production and yields. We offer a variety of tabletop, single and double chamber vacuum packaging machines. We also have dip tanks and shrink tunnels. 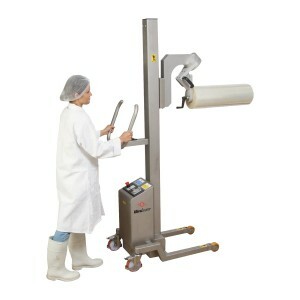 Rhino tray sealer options include MAP atmosphere packaging, capacity levels, and semi-automatic or automatic production designs. BullDog and Bison thermoform rollstock packaging machines provide versatile, high-end features and designs at market leading prices. Call 800-777-5624 to talk with our equipment specialists.